Halloween isn’t just for kids. Pets are joining the festivities too by dressing up in fabulous costumes. 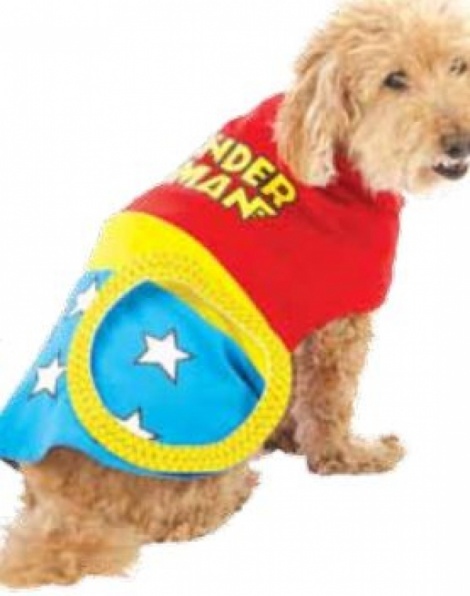 But in addition to picking out a costume, pet parents should keep their pet’s safety in mind as well. Here are some safety tips and costume ideas to help ensure you and your pet have a safe and fun holiday. Make sure treats are pet friendly. With so many Halloween treats about the home, you want to make sure your dog doesn’t accidentally consume something that could be harmful. Chocolate is particularly tempting for pets, but it can also make them seriously ill. Instead, choose a pet-friendly treat to celebrate, such as GREENIES Dental Chews, which also keep pets’ teeth clean and their breath scare-free. Keep them safe. If you plan to take your dog around the neighborhood in the evening, make sure they’re properly outfitted. Reflective leashes, collars and I.D. tags with flashing lights are essential accessories for any pet Halloween costume. Make your pet a star. If you fancy your pet a rock star, consider dressing them for the part. Check out the Bret Michaels Pets Rock wig. With blond tresses and a bandana to top it off, your pet will be ready to rock and roll. Classic costumes are spooktacular. For a fantastic costume that also offers safety features, check out the glow-in-the-dark Martha Stewart Pets Black Halloween Skeleton costume. Or, if you love retro, outfit your pet in the Top Paw Plush Sock Monkey costume, which is sure to evoke some “oohs” and “aahs” from witches, goblins, zombies and monsters of all ages.